Welcome to the AAS KG Blog! 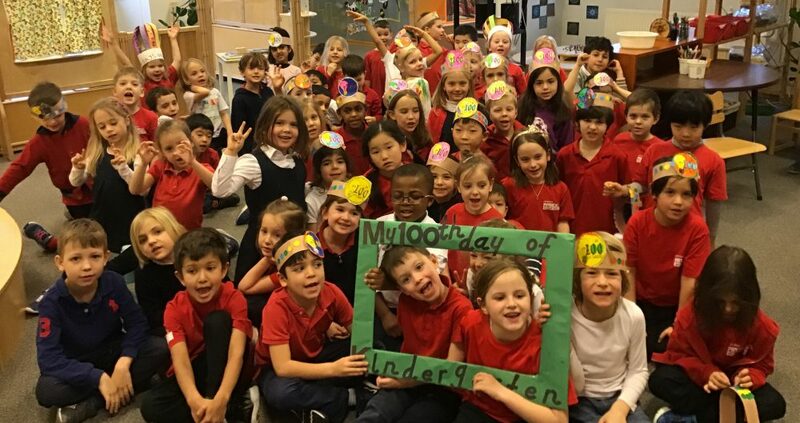 Welcome to the Anglo-American School of Moscow’s Kindergarten Team Blog. Here you will find what’s happening in Kindergarten classrooms, student work and much more. Please check back often and feel free to leave us a message with your ideas, links and good thoughts. After the break we will begin a new Maths unit. Please see below for more information. On Thursday, March 28 students in the elementary school will be leading conferences for their parents. This is an important process for students to develop self-confidence, reflect on their practices, and to gain a better understanding of their learning. The student is in charge of the conference and shares work selected from his/her portfolio. Portfolios of student work have been compiled to demonstrate each student’s growth. The students will share the skills and knowledge they have developed throughout the year. During the conference each student will engage parents in a variety of learning activities that they have experienced in previous units of study. Students are given the opportunity to take responsibility for their work, goals and their success throughout the year in developing their portfolio, which they share at the conference. Students take ownership over the conference; this active involvement promotes student responsibility and accountability. Students are able to reflect upon their learning when leading conferences. Conferences allow students to share their perspective on their own learning and development with teachers and parents. Conferences allow students to showcase their knowledge, skills, and understanding through actively participating in learning engagements. Conferences provide an opportunity for the students to share their learning with parents. Parents gain a better understanding of the classroom experience of their child. To collect, select, organize and reflect on the items for their portfolio and to share learning experiences. To ensure students are prepared for the conference. Teachers will be circulating and participating in conferences as appropriate. You can always schedule an additional conference with teachers to discuss your child’s progress. To attend the conference with your child. It is important you are there for them. To ask supportive and inquiring questions. Examples of questions will be provided during the conferences if you would like to use them. Can you write like an author? We are finishing up our authors study. Writers have a voice and style that is unique. Writers learn from other writers. How do other books this author has written connect to each other? How do authors use words and pictures to create voice? How can I use voice in my writing? What can I learn and use from this author? What are similarities and differences in one author’s books? Student Led Conferences will be held on March 28th. Please mark the date on your calendar now and keep in mind that this is not a typical school day. Students will only attend school, with you, during your scheduled conference time. More information is in the school newsletter and we will post more information on this blog soon! Kindergarten students have started their How We Express Ourselves unit and need your expertise. Our unit’s central idea is “People use nature as inspiration for creativity and innovation.” We would love to hear real people come talk to us about times when nature inspired them to create or innovate. If that was ever the case with you, please think about coming to Kindergarten to share your experience. Email Julie Villers at julie.villers@aas.ru to set up a time. Thank you in advance. Kindergarten is beginning a new math unit about number pairs, addition, and subtraction to 10. Please refer to the pages below to learn more about this unit. We are coming towards the end of our Personal Narrative writing unit. Writers create stories about things that happened to them in order to engage their readers. Students learned about the features of a personal narrative. It has to have characters including themselves, a setting, a beginning, a middle and an end, and their feelings. Why do writers tell stories? What do writers tell stories about? What strategies do authors use to tell stories? How do writers let their readers know when events happen? Watch out for their publications! Our new Unit of Inquiry is ‘How We Express Ourselves’. We are linking this to our year long theme of nature and using nature to inspire us. People use nature as inspiration for creativity and innovation. We will begin the unit by finding out what the children already know by asking questions such as “what is nature?, what is not nature and how do you know?”. We will also look at people and everyday items that have been inspired by nature. We will round off the unit by inviting parents in for an expo on 23rd May (right after the concert) so that we can showcase what we have learnt. In Kindergarten, two of our units of inquiry are yearlong units. The students went to the Inquiry Lab to dabble with experimentations a few weeks ago. Then some Third graders came to explain the scientific method, using a research project they had just completed. We will go back to the lab soon to practice asking questions and making hypothesis during experiments. We will also use Open Inquiry as a time for the students to do personal research; use the Wonder Walls in our class to practice asking questions, and point out to students every time they make new discoveries. All year, students will notice changes around them and research their explanations. Enter your email address to subscribe to the Kindergarten blog and receive notifications of new posts by email.